Want to know if you have bad breath? Just stick out your tongue and inspect it in the mirror, a leading dentist advises. Dr Harold Katz, dentist and founder of the The California Breath Clinics, says the state of a person’s tongue can reveal whether their breath is a bit odorous. 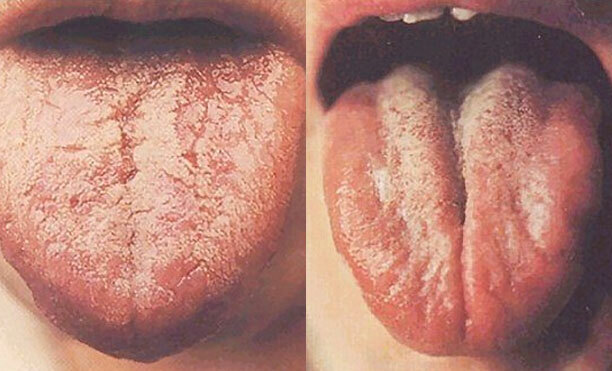 Tongues which are more uneven can hide more bacteria, which leads to bad breath, he said. And the more coated a tongue is, the more likely it is a person’s will suffer from mouth odour. Bad breath is the result of billions of bad-breath-related bacteria eating left over proteins in your mouth and converting them to smelly, sulphur based waste. Your mouth is alive with living organisms – bacteria which live and thrive in its warm, dark environment. Some of these bacteria are beneficial, helping your body to resist invaders and digest proteins. Other bacteria may be hostile, eventually resulting in things like sore throat or ear infection. Regardless of their intent, bacteria live and multiply in your mouth, below the surface of your tongue, at the back of your throat and on your tonsils (if you still have them) by the billions. Billions of bacteria eating and then secreting waste can result in a lot of foul-smelling material. Certain types of sulphur-producing-bacteria emit noxious smelling waste composed of sulphur compounds. These compounds include hydrogen sulphide (smells like rotten eggs), methyl mercaptan (smells like rotten cabbage), putrescine and cadaverine (both smell like decay) and several other unpleasant odours. Some of these waste compounds are so potent they are also found in nature in the glands of skunks. The pungent smells that come from the waste of this type of bacteria are what we typically refer to as bad breath. A healthy tongue (pictured left) is pink, glistening and smooth. A tongue that has a yellow coating that gets darker in the back shows an increase in the production of sulphur compounds. This tongue also has a deep fissure, where more bacteria could hide. The rougher a tongue, the more likely one is to have a bad breath problem. Some tongues have deep grooves or fissures. A fissured tongue tends to lead to bad breath as fissures provide an ideal environment for bacteria to multiply. Pictured left and right are fissured tongues. The tongue has a topography like a map. Differences in this topography can influence the likelihood and degree of bad breath. Generally, the rougher one’s tongue, the more likely one is to have a bad breath problem. Some tongues have deep grooves or fissures. A fissured tongue tends to lead to bad breath as fissures provide an ideal environment for bacteria to multiply. A yellow or white coating on your tongue is waste left by bad-breath-related bacteria. Some tongues have papillae (the fibres on the top surface of the tongue) that are slightly longer than the norm. This is known as ‘hairy tongue’. The longer the papillae, the rougher the appearance of the tongue and the more places there are for bad-breath-related bacteria to hide. Many dentists encourage people to use a tongue scraper to rid the tongue of odour causing bacteria. However, a tongue scraper is not recommended for people with hairy tongue. Scraping can lead to irritation and injury for people with this condition. A geographic tongue (pictured left) is one where white patches with red borders occur and move around the tongue with time. It can be triggered by a reaction to food, stress, illness, certain chemicals and hormonal surges and is not usually associated with bad breath. Some foods can irritate geographic tongue and cause a stinging sensation – these include foods that are acidic, spicy, sour or sweet. A black hairy tongue (pictured right) occurs when papillae – finger-like projections on the surface of the tongue – fail to exfoliate normally. As papillae lengthen they collect debris and bacteria, producing the characteristic dark “furry” appearance. Anyone can get bad breath – even people who are conscientious brushers and flossers. It has less to do with oral hygiene and more to do with things like foods you eat, medications you take and personal habits you have that can provide an environment favourable to sulphur- producing, bad-breath-related bacteria. These bacteria are always present in your mouth, but typically in limited numbers. Your body has ways of keeping bacteria in check. Sometimes those natural defenses are insufficient to effectively limit bacteria colonies. 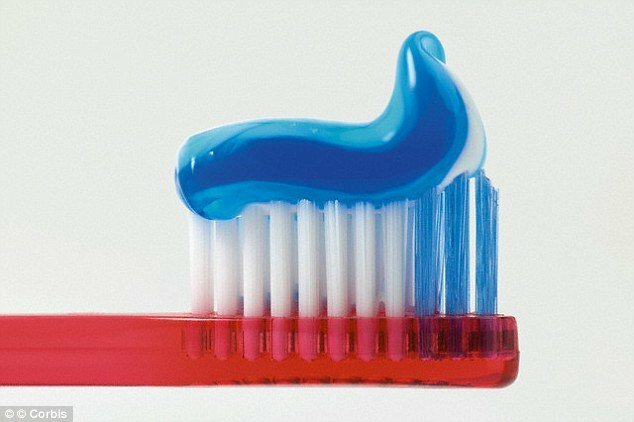 Some toothpastes contain sodium lauryl sulphate, a soapy detergent that creates foam but has no cleaning benefit. The additive has recently been linked to serious side effects including canker sores (mouth ulcers). This is when even someone with great oral hygiene habits can quickly begin to smell offensive. Toothpaste: Some toothpastes contain sodium lauryl sulphate, a soapy detergent that creates foam but has no cleaning benefit. The additive has recently been linked to serious side effects including canker sores (mouth ulcers). Protein rich foods: As the proteins feed bacteria in the mouth, meaning they create more foul-smelling waste. Coughing up phlegm: As mucus contains protein that feeds bacteria. Sweets: Sugars (sucrose, glucose, fructose) are efficient fuel for all types of bacteria ranging from bad-breath-related bacteria to the germs that are responsible for plaque, gum disease and tooth staining. Tonsil stones: Tonsil stones are white or yellow lumps of gooey bacterial waste that can form at the back of your throat. They are quite common for people who still have their tonsils. Tonsil stones give off a foul odour and lead to very bad breath. Dry mouth: Because drying out the mouth helps bacteria thrive. Smoking and alcohol: As it causes dry mouth. Sleep apnea and mouth breathing: Breathing through the mouth causes it to become dry. Acidic juices: Bad breath related bacteria are able to produce waste faster in a highly acidic environment. Gum disease: Diseased gum tissue feeds and harbours bacteria and provides opportunities for them to enter the bloodstream. Medication that reduces immunity: It leaves the body less capable of limiting growth of bacteria. Medication that causes dry mouth: Drying out the mouth helps bacteria thrive. Lactose intolerance: This may cause a sour milk odour when eating dairy-based foods.